Newly Remodeled! Charming Views of Lake Hamilton!! Prime Location! Property 51: Newly Remodeled! Charming Views of Lake Hamilton!! Prime Location! NEW LISTING!! WALK-IN LEVEL WITH COVERED BOAT SLIP! Property 52: NEW LISTING!! WALK-IN LEVEL WITH COVERED BOAT SLIP! NEW! 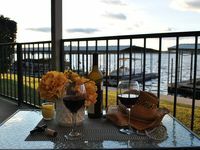 Lake Hamilton Resort Condo w/ Boat Slip! Property 56: NEW! Lake Hamilton Resort Condo w/ Boat Slip! NEW! Cozy Lake Hamilton Condo w/ Boat Slip & Pool! Property 57: NEW! Cozy Lake Hamilton Condo w/ Boat Slip & Pool! Privacy. This home is a "little piece of heaven". Deer,rabbits ,and the red fox. Property 59: Privacy. This home is a "little piece of heaven". Deer,rabbits ,and the red fox. PRIME 7 SOUTH 2/2 CONDO IS WHERE YOU WANT TO BE! Mall, dining, shopping..
Property 60: PRIME 7 SOUTH 2/2 CONDO IS WHERE YOU WANT TO BE! Mall, dining, shopping..
Lake Front Condo 15 feet from the shore line with Large Outside Patio! Property 62: Lake Front Condo 15 feet from the shore line with Large Outside Patio! NEW! 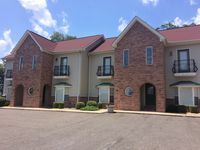 Hot Springs Condo w/ Pool & Boat Tie-Ups! Property 63: NEW! Hot Springs Condo w/ Pool & Boat Tie-Ups! Condo was exactly as described and Sarah was available anytime should we have needed her. We would definitely stay again! Stayed here with my two sons and the two bedrooms were set up perfectly for us. Communication with owner was very good. Many restaurant options nearby. Would consider staying here again next time.